Ion Flux founder and CEO Allen Day will be presenting the topic “Elastic Analysis Pipelines” at Amazon’s AWS Genomics Event on September 22. Now that Gordon Moore‘s genome variants are available as part of Ion Torrent’s publication in Nature this week, we’re announcing some work we’ve done analyzing an early, low-coverage version of these data. 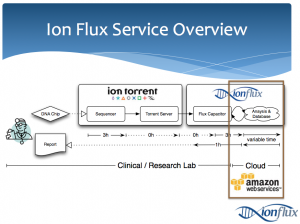 Ion Flux has been building highly-scalable systems for analyzing personal genome data. One of these systems produces a gene panel consequence report. 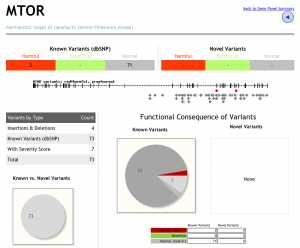 The report’s purpose is to indicate where variants have been detected in a group of genes and what, if any, are the consequences of the detected variants. We specifically chose to analyze a small panel of well-known cancer genes, for many of which treatment options are available or are in clinical trials. 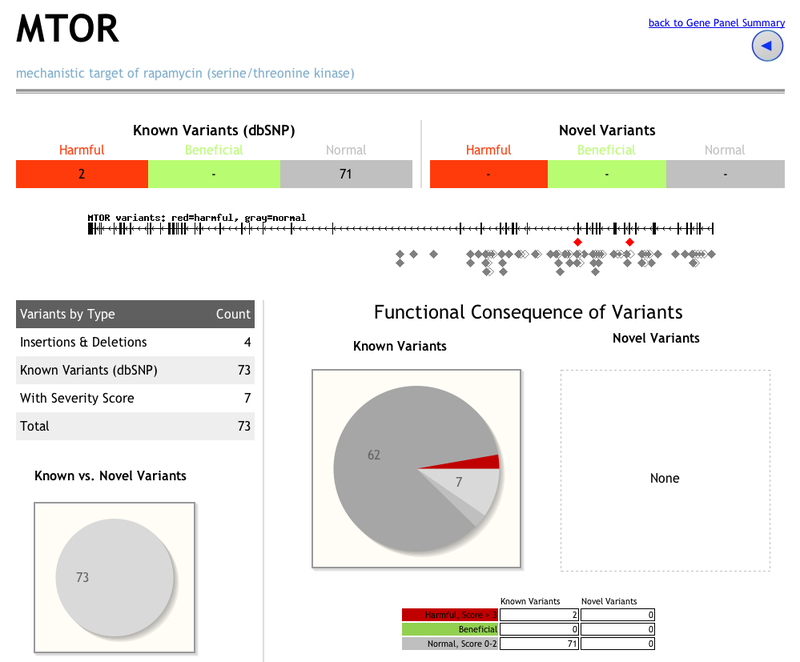 You can have a look at some demo output of our gene panel consequence report. We emphasize that the information content of this report is based on pre-publication, low-coverage Ion Torrent data and is insufficient to make consequence claims with any acceptable level of confidence. We encourage you to also have a look at the SNPedia-based Promethease report on Moore’s variants that were published. We want to better understand the sensitivity and specificity of particular sequences/regions in the genome, ultimately leading to faster, higher quality genome alignments. We want to establish time and cost benchmarks for processing large volumes of Human genome data. We processed a 50bp step1 sliding-window data set of Human Genome build 19 using Ion Torrent’s TMAP algorithm (from author Dr. Nils Homer). 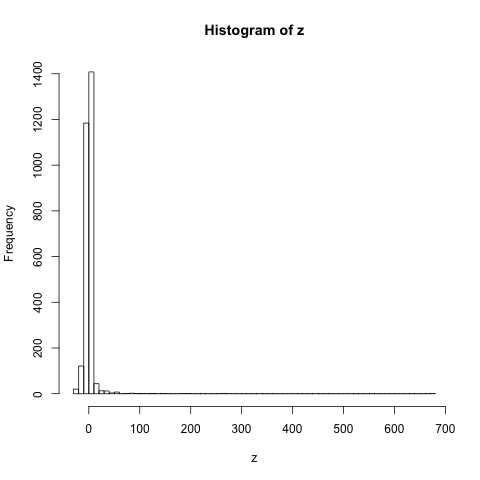 The specificity/sensitivity analysis is underway right now, and will be published here in a followup blog post. How were the data generated? Input was a 1bp step, 50mer tiling data set generated from HG19. We’re not hosting these data, you can generate them yourself with this make_reads.pl script. Output was a set of SAM files from TMAP, which were then post-processed to a more compact form. See the Data section, below. 3 gigabases * 50 bases/read * 2 strands * 50 samples/basepair = 1.5 terabases of sequence input for a 50x uniform-coverage Human genome. We’re using Amazon’s cloud. Check out Amazon’s case study of Ion Flux. It took less than 1 business day, and we can easily scale down much further. Contact us [media] [business] if you want to know more about our pricing and methodology. 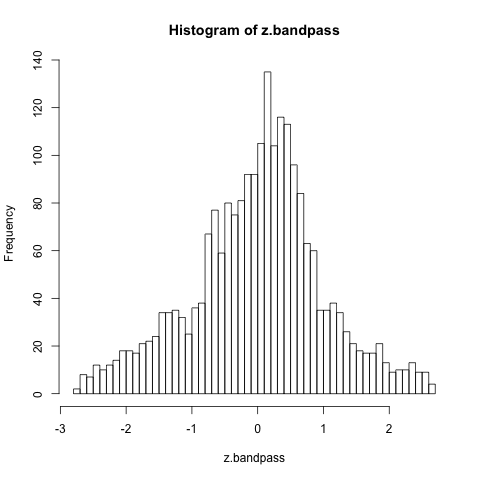 We’ll be publishing data and some pretty pictures of the sensitivity/specificity analysis soon, stay tuned! This is part one of the series, and introduces the fundamental genetics concepts of genotype, phenotype, polymorphism and a vignette of how genomic data can be applied in a clinical setting. We’ll use some of the excellent marketing material from the personal genotyping company 23andMe. 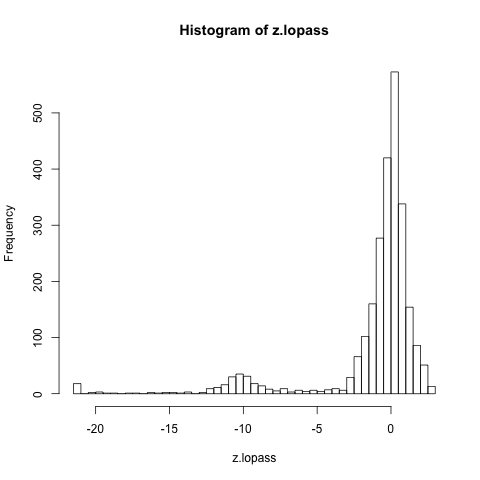 SNPs: some of what we find through our data analysis are SNPs. A SNP is a specific type of polymorphism, or sequence variant. We’re looking for SNPs with some effect (a functional consequence).